Orca Book Publishers, 9781551433332, 32pp. 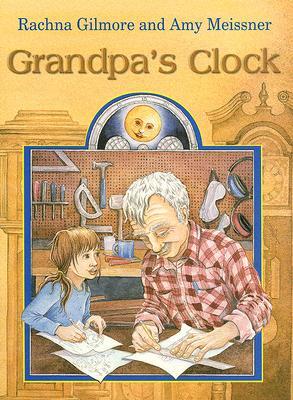 "Slow and steady," that's how you make a grandfather clock. Grandpa should know. He and Cayley have made nineteen clocks together. Now they are making Cayley's very own, a Lord Nelson. Then, one night, Cayley awakes to the sound of a siren. Grandpa is gone. Cayley is scared by what she sees when she is allowed to visit him in the hospital. But scared or not, she knows what Grandpa needs, and she tells him, "Slow and steady" as he heals. The Lord Nelson clock waits, patiently, to be finished.